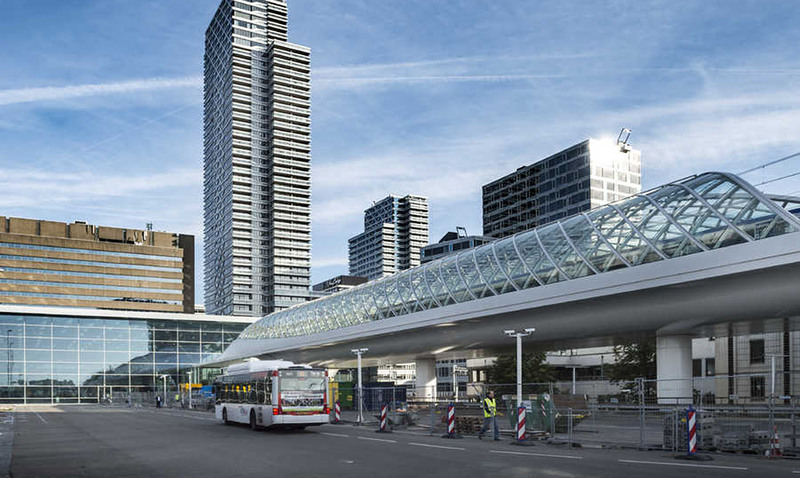 The light rail station for The Hague and Rotterdam has a minimal impact on its urban surroundings thanks to its slender steel construction. ZJA Zwarts & Jansma Architects designed the structure as a canopy of platforms covered with curved glass and steel. The station is set to officially open next Monday. The new station features a sculptural roof that lends it a distinctive appearance but maintains a connection to the human scale. A long viaduct leads trams to the station over 12 meters above ground level, the slender design reducing its impact on the surroundings – particularly the Bezuidenhout-West residential district. The steel construction enables spans of 35 meters between the pillars, which maintains unobstructed views at ground level and allows the project to subtly blend into the existing urban fabric. 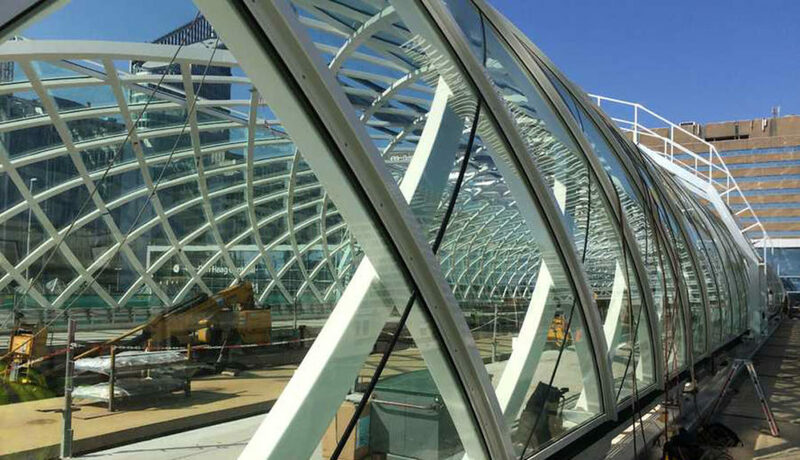 The canopy provides protection for passengers walking between the HSE departure station and the main hall of The Hague Central Station. The new station features a sculptural roof that lends it a distinctive appearance but maintains a connection to the human scale. A long viaduct leads trams to the station over 12 meters above ground level. Its slender design of the construction reduces the impact of the viaduct on its surroundings, especially the Bezuidenhout-West residential district. The steel construction enables spans of 35 meters between the pillars, which maintains unobstructed views at ground level and allows the project to subtly blend into the existing urban fabric. The canopy provides protection for the passengers walking between the HSE departure station and the main hall of The Hague Central Station.